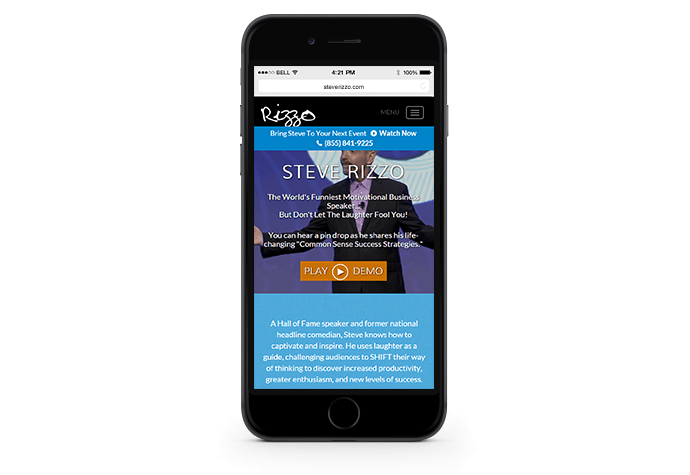 A former national headline comedian and a Showtime Comedy All-Star, Steve Rizzo walked away from comedy at the pinnacle of his stand-up career to pursue his true purpose and passion—to teach people how to be successful and happy no matter their circumstances. 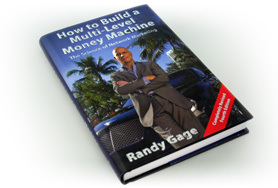 As a Hall of Fame speaker, best-selling author and frequent media guest, he has shared his life-changing success strategies with people all across the world. 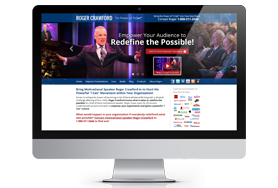 We wanted to make sure Steve’s new Website communicated his inspirational message, his status as a celebrity keynote speaker, and his positive energy. 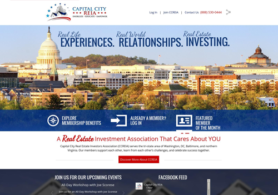 We started by building a strong foundation—a clean, streamlined navigation and concise content. With the messaging, we took care to balance Steve’s impressive comedy credentials with the high content of his presentations and the bottom-line results he provides for his clients. Steve has an incredible demo reel, and we utilized footage to create a video background for the homepage. Paired with a new modern color scheme and fonts, the overall look is sophisticated and cutting-edge. 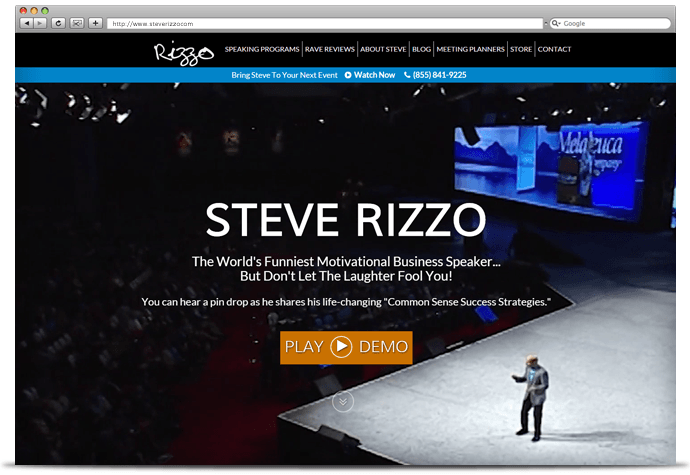 We think Steve’s new Website is a showstopper, just like Steve Rizzo himself!